This was the very first JM scent I ever smelled and immediately fell in love with. I knew right away that this was going to be the first cologne I was going to purchase and add to my collection which indeed it was. This is a sweet fruity fragrance that is quite subtle. I wore this fragrance when I got married so it definitely has some nice memories attached to it. I enjoy using this cologne on warmer days such as the spring and summer. It is definitely a nice refreshing scent you can't go wrong with. 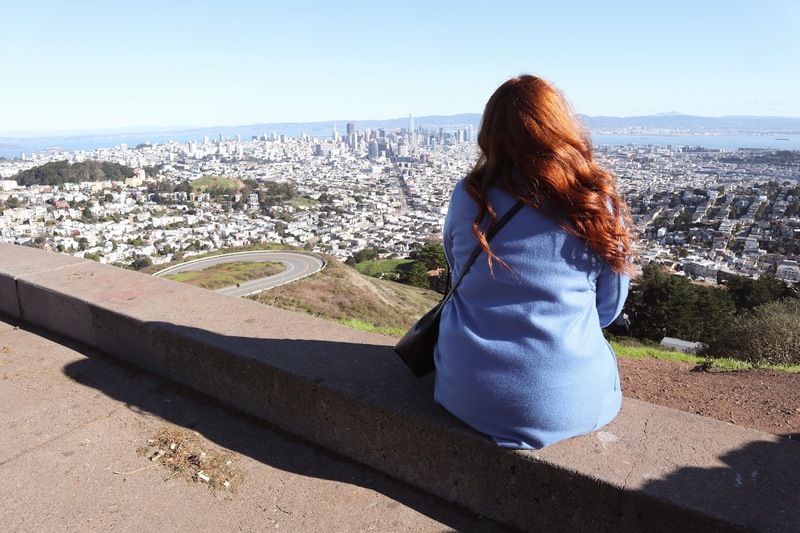 I will probably sound very repetitive in this post so please bear with me. The second cologne I smelled was Wild Bluebell. Ugh, this cologne is so refreshing it was another love at first sniff. Immediately when I smelled it I thought of fresh watermelon on a warm summer day. This one is labeled as a light floral but I think of it as a fruity scent, maybe even a light fruity fragrance. I purchased this one and the Nectarine Blossom cologne at the same time and I wore these two back to back all of spring and summer of 2017. One thing I most enjoy about this cologne is that it doesn't overwhelm me throughout the day like other perfumes tend to do. Moving towards a floral scent, Peony Blush and Suede is probably the most floral scent that I have in my collection. This smells like a beautiful room filled with peonies, my favorite, with a soft touch of suede. I love everything floral scented and this is the perfect combo of fresh floral with a modern twist. I prefer wearing this during warmer seasons, specifically spring, and for nicer occasions. You guys probably already know that Pomegranate Noir is my all time favorite fragrance. I have raved about it in a couple past posts; revisiting old favorites post being the most recent, so I probably shouldn't spend too much time on this scent. This cologne has the perfect combination of dark-rich juicy fruits paired with the perfect amount of smokey woods. I've never been into woodsy fragrance but this one is the only fragrance I've made an exception for. I will repeat this again, this is the absolute perfect Winter scent hands down. I always get countless compliments and questions when I wear this. Not going to lie, I always get kind of sad when Winter is coming to an end since that means I have to retire this cologne until next year. The first limited edition cologne to my collection. This guy was released last Spring that was part of the English Fields collection. Out of the five new fragrances they released this was my favorite. This is one of few colognes I own that can become a bit overwhelming. One to two sprits is all you need and the fragrance will last all day on you. Green Wheat is definitely greener in scent with a lovely twist of the grapefruit. The notes in this cologne complement each other so well, it's very much a unique scent. Nashi Blossom cologne was the second collection that was released in Spring of last year. It is one of three that was released and the most popular of the collection. It is a very subtle fruity floral cologne with the softest scent that I own. In my opinion, it can be used throughout the warmer seasons and even into the fall. Since is not an overpowering scent and it's usually the first perfume I grab if I'm heading out of the house in a hurry. It is such a beautiful scent. By now we all know how much I love the scent of roses. This cologne legit smells identical to a bouquet of fresh luscious red roses I'm not even kidding. I would categorize this scent as a romatic cologne. I'll wear it whenever I'm in the mood for it to be quite honest, but this is definitely one of the perfumes I grab for date night with my husband. I love this one so much I'm getting so excited to start using it a lot more in the following months. I carry a mini version of this fragrance in my purse too. Again, there are so many wonderful happy memories attached to this scent one being a few trips back to California before moving back to our home. I was so thrilled when Jo Malone announced their new cologne last fall. Like so many of the fragrances, I fell in love with this one immediately! I wore this scent so much last fall I couldn't get enough of it. There is something or should I say a specific note in this cologne that I'm obsessed with, I just can't put my finger on which one it is. 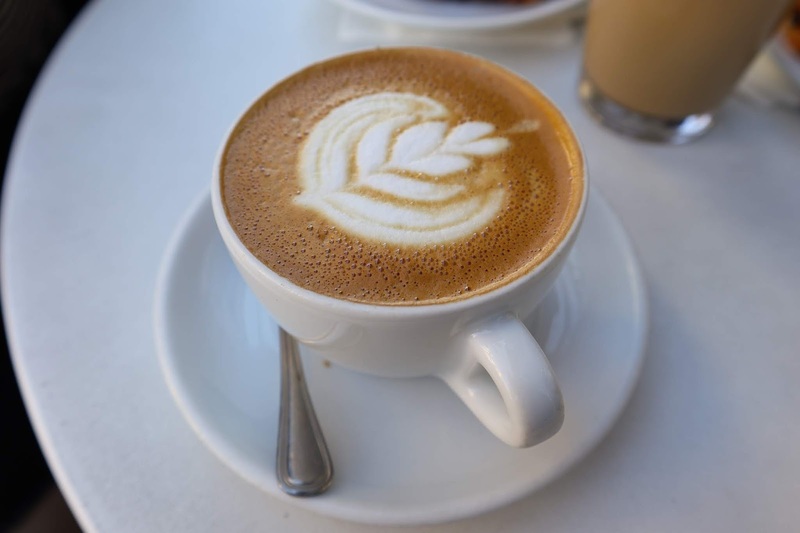 You can definitely detect some fruity notes that are toned down by what I'm assuming the sunshine warmth. I think many people would really enjoy this fragrance. Not going to lie, I initially wanted this cologne because of its stunning packaging. This is the most beautiful cologne bottle I have ever seen. I'm obsessed with the rainbow iridescence bottle paired with the gold cap. Stunning! If the fragrance wasn't in such a cute bottle I probably would have skipped out on buying it if I'm being completely honest. I know that this cologne won't be for everyone since it is a powdery scent. I think it's a more sophisticated scent and definitely something I'd see more older woman enjoying. It reminds me of Chanel Coco Mademoiselle. I have to be very light handed with this fragrance because a little goes a very long way. I typically can go with just one spritz and the scent will last all day. Any more will make me feel sick. This cologne has become my Christmas fragrance and I wore a lot of it throughout December. The latest addition to my collection is the Nettle & Wild Achillea cologne from their recent Wild Flowers & Weeds collection. I have owned this cologne for nearly a month now and dare I say that this has very quickly become one of my favorite scents! This fragrance isn't like any of the colognes I own. It's very fresh and extremely green if the color green had a scent haha. I'm surprised by how much I've been enjoying this fragrance. I couldn't wait for Spring so that I could begin using it. 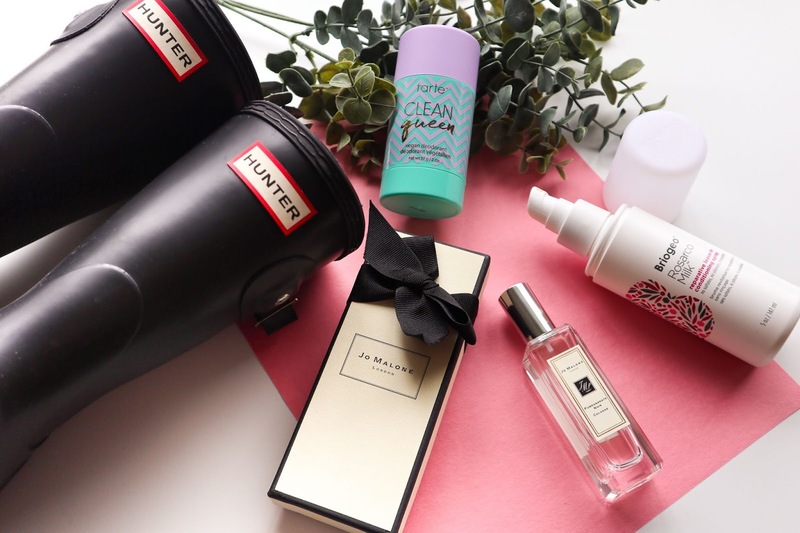 It's one of those ideal scents for springtime if I haven't said that enough in this post. This was my absolute favorite scent of the collection and yes it is limited edition. Definitely get your hands on this before it is gone. When I purchased mine I was told this was the most popular scent of the five and I so happened to have purchased their last bottle! That says something. I'm even planning on taking this fragrance with me on my Honeymoon in a few weeks! We have finally arrived at the end of my collection. 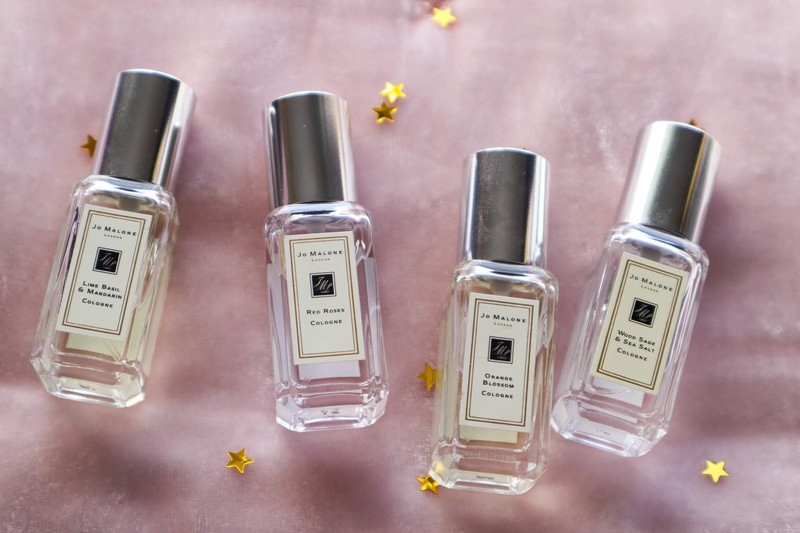 I really hope you enjoyed reading on each Jo Malone cologne that I own, this doesn't even include the minis in my collection which you can see in the photos above. Lime Basil Mandarin is one I will definitely run out and purchase a larger size once I'm out of it. It's so good. Even Wood Sage & Sea Salt, such a wonderful universal fragrance that both Rudy and I really enjoy! What is your favorite JM cologne? Wow! 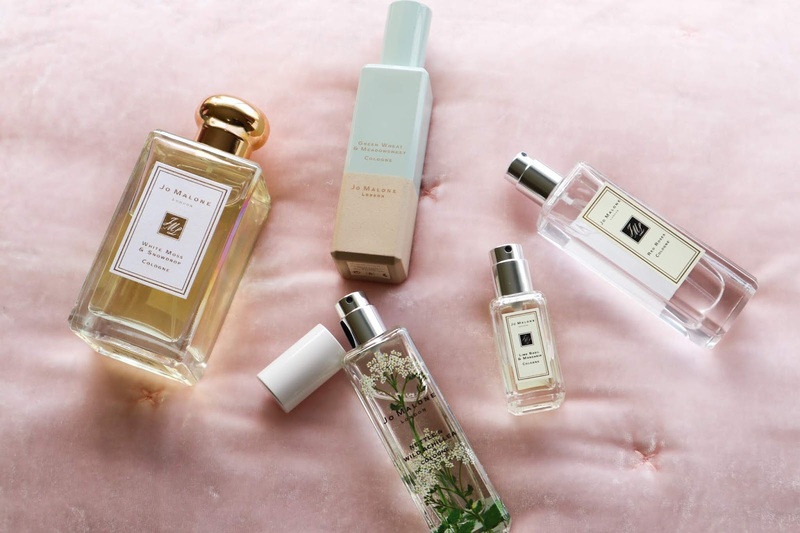 Your Jo Malone Collection is huge, I love it. The Honeysuckle & Davana Cologne is definitely one of my favorite and I'm still so tempted to buy the Nettle & Wild Achillea Cologne, the packaging alone is gorgeous. The only Jo Malone fragrance I own is pomegranate noir and I do find it to be a bit too heavy, not going to lie! I really want to try peony blush and suede, it sounds much more up my street! I'm obsessed with Pom Noir! Definitely check out Peony Blush & Suede it's a delight. Oh ok thank you for clarifying that. I know most if not all JM colognes can be mixed and match with each other but it's something I rarely do. I need to try pairing some together to see how I end up like it. 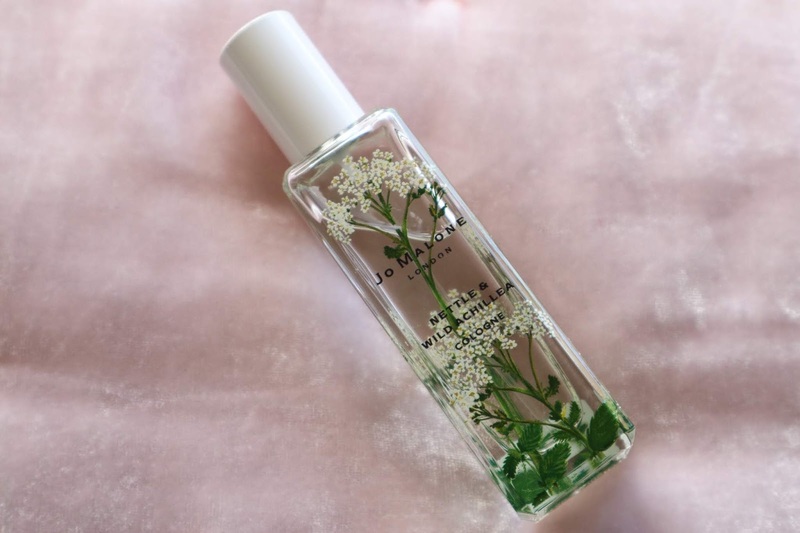 I adore Jo Malone, it is one of my favourite skincare brands! I highly recommend you checking a Jo Malone counter out! There are literally tons of fragrance options to choose from! Jo Malone is my all time favourite too:) Blackberry and Bay is my signature scent. 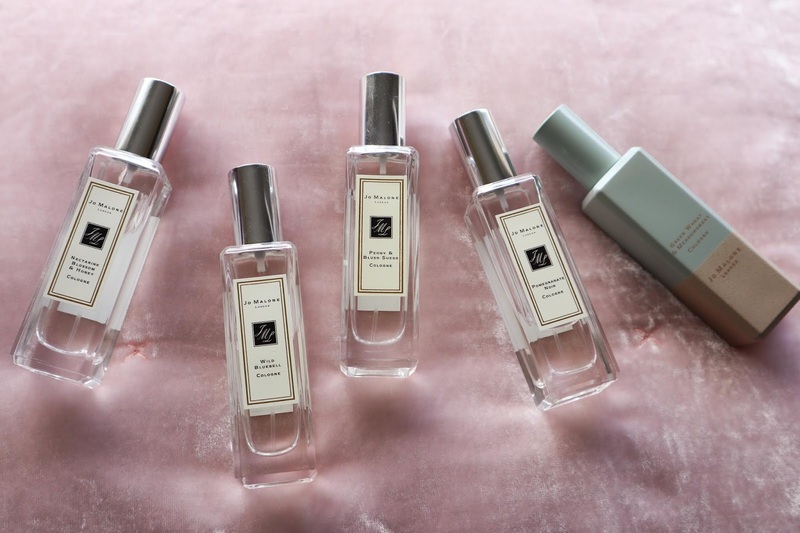 I love Jo Malone and your collection looks amazing. the white moss and snowdrop bottle looks so good. english oak & hazelnut is one of my faves from them. I completely agree, the bottle of the White Moss and Snowdrop is stunning. Oh yes that's a yummy one too. I've had that one in their small same bottles.